The Mac defaults to using Safari as the default web browser, but what if you prefer to use Google’s Chrome web browser instead? There’s a few ways to change the default browser, but perhaps the easiest if you’re looking to use Chrome is through the Chrome browser itself. With that in mind, here is how to switch Mac OS X to use Chrome as your full time default web browser, meaning all links opened or clicked from third party apps will open in Chrome rather than Safari. That’s all there is to it, now Chrome is the new default, and all links from emails, apps, and elsehwere will open in Chrome rather than Safari or Firefox. If the “Default browser” section of the settings says “The default browser is currently Google Chrome.” then you don’t need to make any changes. For what it’s worth, you can usually set the default browser to whatever you want via the given browser apps preferences, and that goes for Firefox and Opera too. If all else fails, you can always just set the default web browser in Mac OS X through Safari (yes, you use Safari to set the general default browser, even if you choose not to use Safari as the default). This tip was inspired by a friend, who called me last night frantic that suddenly Safari had become the default web browser on her Mac again, presumably the change was caused by a software update but nonetheless they were very annoyed since they prefer Chrome and couldn’t figure out how to set it back. If you find yourself in this situation, just follow the instructions and you’ll be back to Chrome in no time at all. Happy web browsing! Though Mac users have this option, mobile users don’t, and it’s probably worth mentioning that the iPhone and iPad can’t set a default browser outside of Safari at the moment. 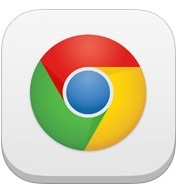 Accordingly, iOS users who want to have Chrome as the default browser will need to wait until that becomes an option, and get in the habit of launching the Chrome app directly. I like Firefox over Chrome. The latter slows down, has no reliable add-blocker, and no development plugins that I could find. I need my dev plugins. I have a question, do you know if there is an app or option that makes certain programs open links in certain specific browsers. e.g. links from mail.app open in safari but links from twitter.app open in chrome. There is one plugin I know for Firefox, but I am not aware of other plugins which do the same for e.g. Chrome, Safari etc. Well now I just feel stupid. I had to switch from Firefox to Chrome after Firefox started becoming too buggy, and was generally happy with Chrome’s performance. The only thing I didn’t figure out was how to get Chrome to open as my default browser. Next time, I’ll look harder for the button that says exactly that. How do I change from Safari to Chrome in my Mac MAIL program? I can’t seem to find the command if it exists at all!